A Jillian Vance Design: New Release!!! Writing 101 by our New Illustrator Jamie L. Henry of Zig & Me. New Release!!! Writing 101 by our New Illustrator Jamie L. Henry of Zig & Me. We have a couple new sets to release today from our AWESOME Illustrators!!! I am showcasing one of our Brand New Illustrators ~ Jamie L. Henry of Zig & Me. Jamie brings a unique, clean cut style to A Jillian Vance Design and we are happy to have her! For my card today I used her very first design for us called Writing 101. 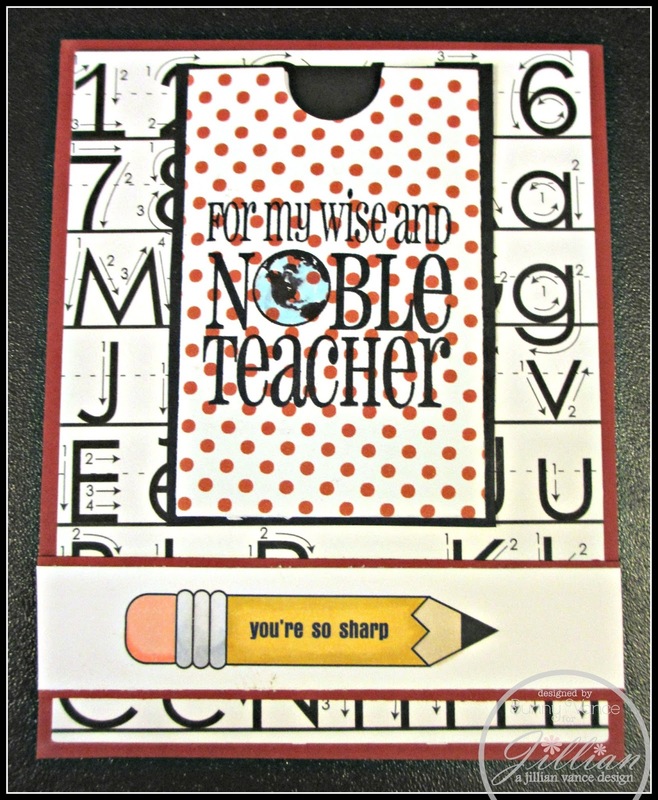 She designed this to go with Lisa's Teacher Teacher stamp set and I love them BOTH!!! 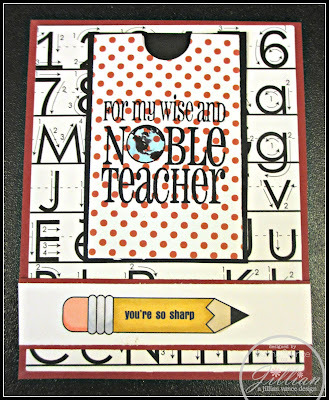 It is one of our new Background Builder stamps which means it is a Red Rubber Cling stamp that measures 4.25 x 5.75 to cover an A2 card front! Doesn't this just bring back those childhood school memories!!! Love those ARROWS!!! Thanks for stopping by today and check out the new stamps! They are due in April 23rd!!! Pre-Order today!